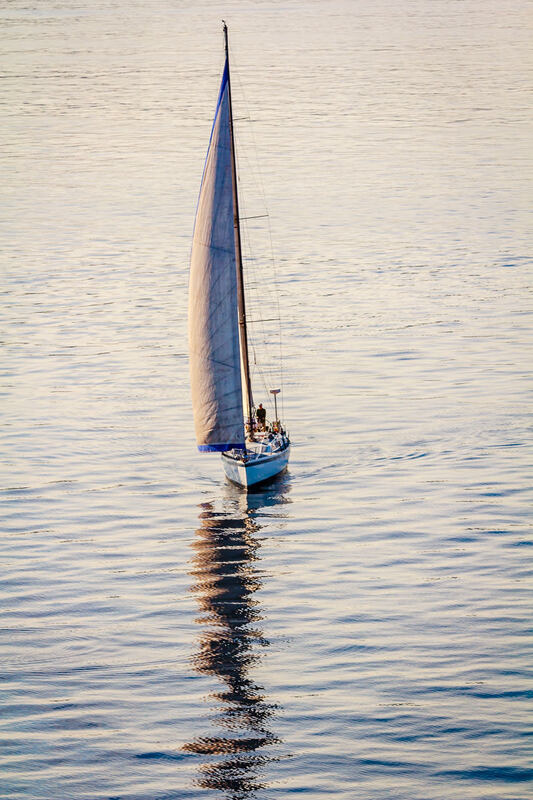 A sailboat lolls on the still waters of Washington’s Puget Sound near Seattle. 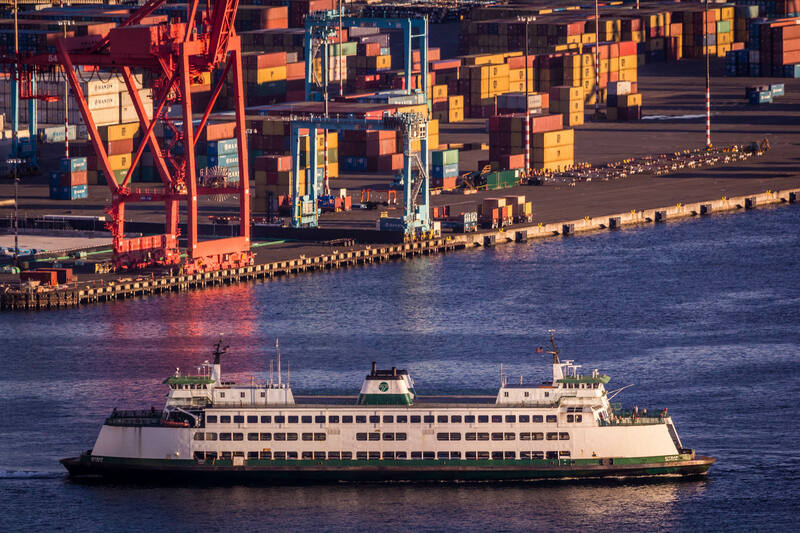 A Washington State Ferry leaves the Seattle Ferry Terminal as the sun begins to set on Puget Sound. 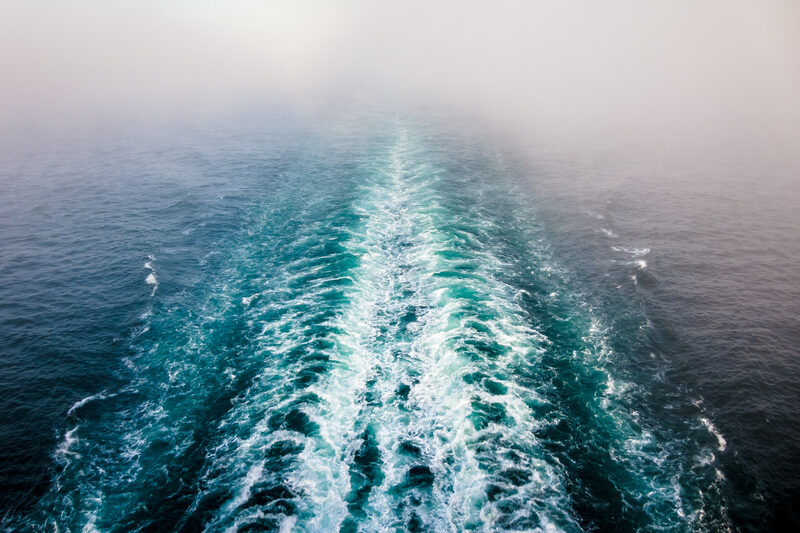 The wake of the cruise ship Norwegian Pearl disappears into the fog of Puget Sound. 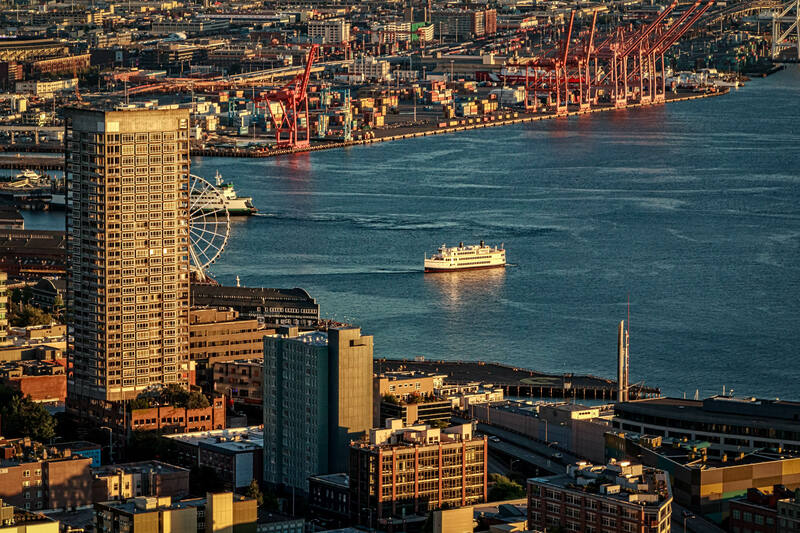 A ferry approaches the Seattle Ferry Terminal as the sun sets over Puget Sound, Washington. 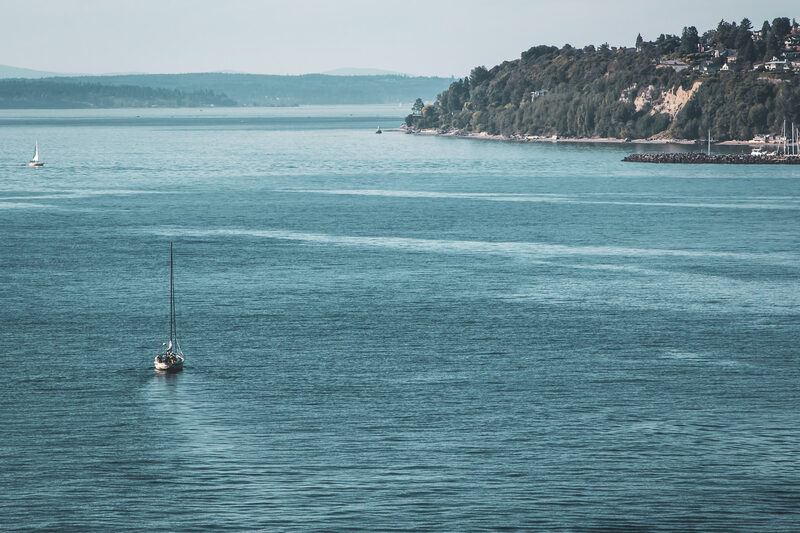 A sailboat navigates the smooth waters of Puget Sound just north of Seattle.